Experian research suggests companies in the UK, the US, Australia and western Europe have poorer quality data this year than last. The credit information company’s 2015 Global Data Quality Research among 1,239 organisations found a dramatic lack of data quality “ownership”, and 29% of respondents were still cleaning their data by hand. The number of organisations that suspect inaccurate data has jumped from 86% in 2014 to 92%. Also, respondents reckoned 26% of their data to be wrong, up from 22% in 2014 and 17% in 2013. Some 23% of respondents said this meant lost sales, up from 19% in 2013. Find out about the British Army’s data quality programme. Andy Hogg puts Microsoft SQL Server’s data profiling tool to work. 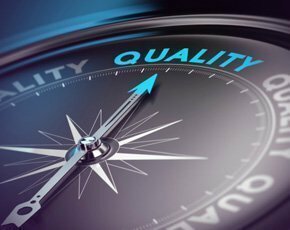 However, only 35% of respondents said they manage data quality by way of a single director and nearly 63% are missing a coherent, centralised approach to data quality. More than half said individual departments still go their own way with respect to data quality enforcement, and 12% described their data quality efforts as “ad hoc”. Experian said the data quality research indicated that data quality is linked to organisations being more profitable. Some 70% of companies whose profits rose sharply in 2014 also plan to invest more in 2015. CIOs among the respondents believed their businesses could increase profits by an average of 15% if their data was of the highest quality. They assessed savings from using data quality tools to be less than £1m in businesses, whereas chief data officers expected savings of £5m. About one-third of organisations use automated systems, such as monitoring and audit technology (34%), data profiling (32%) or matching and linkage technology (31%) to clean their data. A total of 29% still use manual checking to clean their data.